Come stand in your power: Step up into your leadership and full power with moral courage & Big heart. You are here at the greatest time in human history. You must ask why & live into your potential for the good of all. Countless women are hiding their deep gifts because they're waiting on the weight, giving their power away to others, or not owning their full value. They’re wasting valuable energy and creativity that could be used to serve our world at this time. We're locked in these prisons of our own making, keeping us from living fully. Our thoughts, actions and unhealthy obsessions are keeping us shackled. Imagine if even 10 percent of the time we spent thinking about our bodies, weight, and pleasing others could go towards solutions for healing our world? What a difference it would make if women started focusing on fulfilling their potential instead. What an uprising of the Feminine that would create! As my dear soul sister & mentor Rha Goddess has said, “In these tumultuous times, our mother planet is beseeching women of all ages, cultures, and dimensions to awaken, reintegrate, and honor our most precious gifts in service of ourselves and the most high." 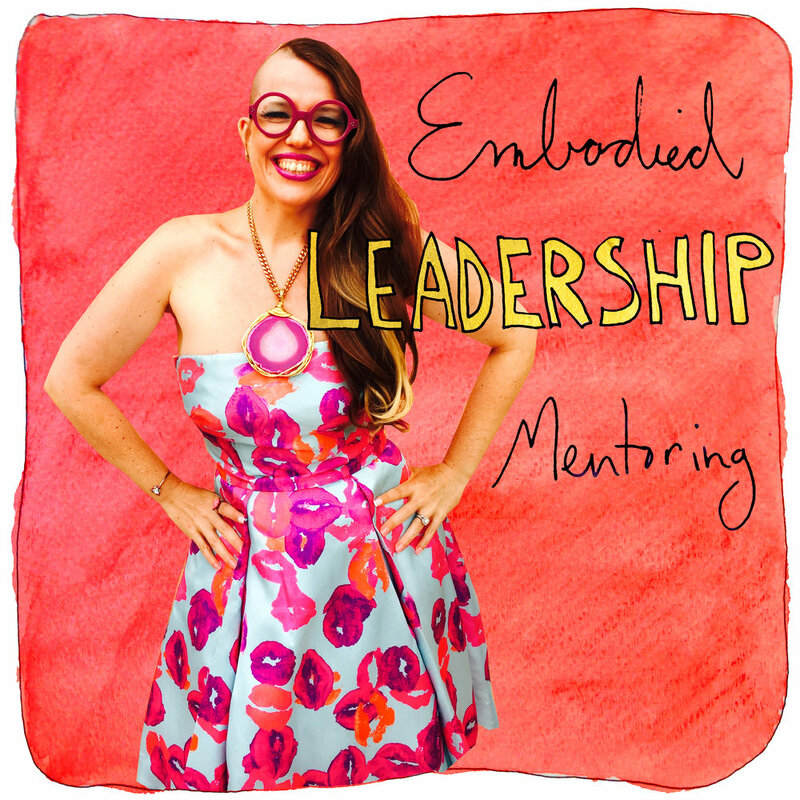 The journey of Embodied Leadership Mentoring is about stripping away all the constraints that society, family and others have put on us in order to come back to our bodies' own truth so we can discover what will best serve us, our vessels, and our lives. It’s making a choice to no longer accept the rules as they’re given and instead reinventing them so that ourbodies, hearts and souls can finally be deeply nourished. Ultimately, it’s a journey to reclaiming our own inherent Divinity and living from a place of deep inner alignment to help heal ourselves and our ailing world. Together we can move towards an embodied women’s leadership that will help us to create the more beautiful world our hearts knows is possible and that our souls are yearning to create. Come innovate your own life & claim your deep gifts on the forefront of the world stage. Awaken your inner creatrix & come fully ALIVE! Claim your deep gifts to meet the world's deep needs and unleash your full soul expression on the world. You are unique. There will never be another you! The Deep Dive Discovery Session enables individuals to lead more heart-centered, morally courageous and soulfully authentic businesses and lives. Think of me as your own personal & soulful strategist. You'll be able to tap into my BIG visionary mind and tough-love, spiritually-minded business & life design consulting -- which artfully combines life-changing rituals, powerful tools and practices, deep inquiry, and compassionate hustling -- to help you align your life with heart and spirit, so you can LIVE, LOVE, LEAD, SERVE & Sparkle SHAMELESSLY® in the world. You will open up to parts of yourself you may not have even been aware of, discover diverse strengths, realign with your soul's deep longings, and walk away with actionable steps to get started on your journey to living a life you totally LOVE! I invite you to step into your full creative and (r)evolutionary potential for the good of all! Investment: $399 - This package includes my proprietary Deep Dive Discovery Workbook and a two hour Skype or phone session with me. Come be fiercely authentic: Speak up with your powerful voice and fierce authenticity. Let your wildness out. Remember that someone out there needs you. You must live your life so they can find you. Your Life, Your Canvas, Your Masterpiece is a Sacred Art Immersion to Unleash Your Inner Wild Creative Self to Serve the World. I am deeply committed to being a companion on your spiritual journey & serving as an advocate for your personal freedom of expression so you can own your agency in the world. 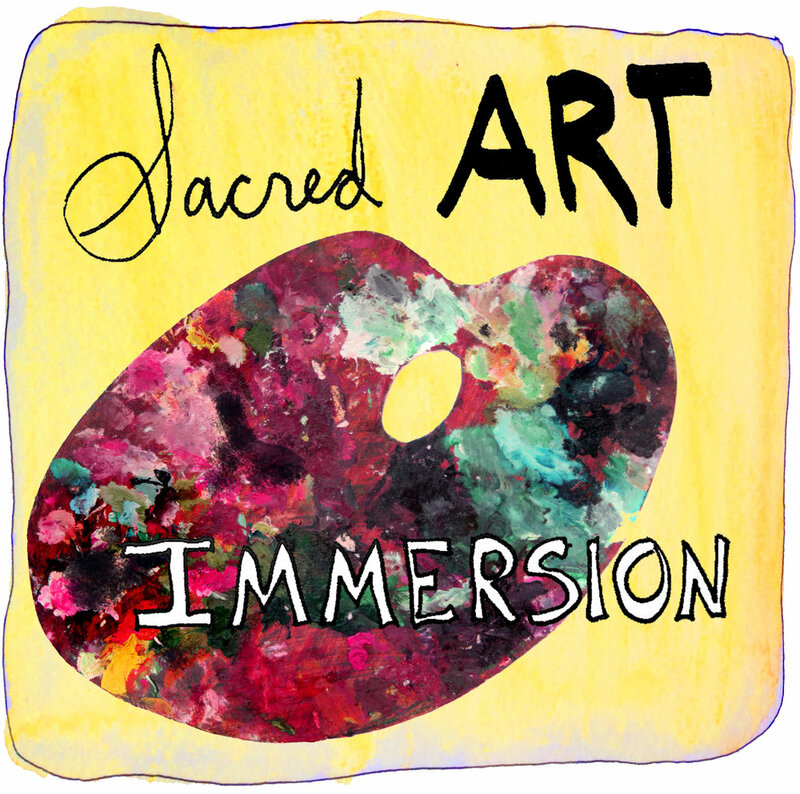 To this end, my spiritual immersions help call you back to your own soul through a combination of expressive art, movement, depth inquiry, sisterhood, soul support & deep ritual. I have been called a 'midwife of the soul' by many. This is a powerful container for your transformation. I’m translating ancient techniques into modern practices that you can use on a daily basis to transform and live in greater harmony with your soul’s purpose. Overall, each immersion helps you experience your world in a more wildly creative and deeply sacred way so you can live into the fullness of your Being. For I believe that our life is our canvas and it's our responsibility to make it a masterpiece for the good of all.